The RL-TRS22/24 Slim LED troffer fixture is a design based on the idea of green energy . It saves about 50% energy compared with the fluorescent troffer.The RL-TRS22/24 accepts 100~277VAC, and have a high lumen efficiency up to 125~130Lm/W. With well distributed and soft light, high stability, long life,elegant and special external design. This Luminaries is regarded as the leading of greening Lighting for commercial and industrial uses. Operating temp. : "- 30℃ to +50℃"
LED troffer light save energy,take 25w single tube led troffer light for example,it lighting 8 hours every day. 1.The lumen: 1 LED troffer 24W = 3pcs 14w T5 fluorescent. 2. LED troffer light about $30/pc,1 general tube light about $10/pc,so can save US$10 per used cycle. 3.LED is 50,000hrs,T5 fluorescent is 3000hrs,1 LED troffer light=3*16pcs T5 fluorescent,it will save US$450. parking garage,hospital,commercial center,supermarket,shopping mall,train,bus station,airport,etc. Yes, we have our own factory, so we could offer LED troffer light with competitive prices! Usually, for sample order, it takes 5-7 days, and for big quntity order, usually take 10-15 days! 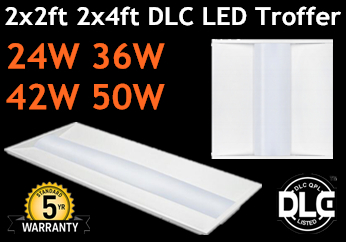 We offer 5 years warranty for 2x2 lay in light fixtures, during the warranty, if the lamps fail to work, proved not cause by human being, we would offer you the free lamp parts or new lamps!